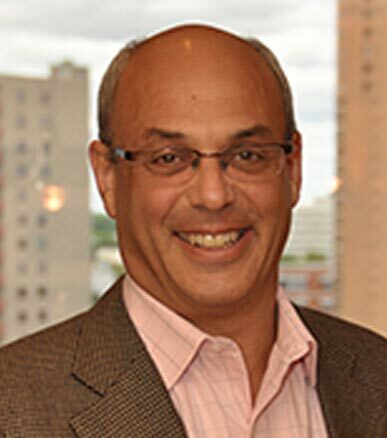 For 25 years Mr. Kohnstamm has been Owner & CEO of Twin Cities-based Kohnstamm Communications, a consumer sector public relations firm. When other agencies dove headlong into the tech bubble, Mr. Kohnstamm was a forerunner in PR for natural and organic brands, and a founding shareholder of Honest Tea. This provided ground floor involvement in a generation of seminal brands for which Kohnstamm helped create critical national awareness, often setting the stage for high multiple acquisition and outside investment. Client brand experience includes Happy Baby, Naked Juice, MOM Brands, Noosa, truRoots, Kettle Cuisine, Angie’s, BOOMCHICKAPOP, Way Better Snacks — over 75 brands in total over the past 15 years. Mr. Kohnstamm has been a speaker at Expo West on the agency’s early stage expertise and marketing around emerging dietary food trends. The Kohnstamm agency is currently ranked in the top 10 on topPRagencies.com for food and bev PR and mission-driven PR involving Corporate Social Responsibility. The Kohnstamm Agency’s corporate client experience includes 3M Food Safety, General Mills, Ecolab, Travelers’, and Target Corp — where Mr. Kohnstamm provided speechwriting for the retailer’s C-suite. Recipient of Boutique Agency of the Year honors, and as an award-winning speechwriter, Mr. Kohnstamm calls on his years of experience at Hill & Knowlton prior to starting his own firm, where he served blue chip clients including Kodak, Mazda, Monsanto, and Simon Development Corp, the original creators of Mall of America. Mr. Kohnstamm is involved in organizations and efforts ranging from Naturally Boulder and Minnesota’s emerging food industry to the Council of PR Firms. A native New Yorker, former Ted Kennedy and Morris Udall political operative, and past editor-in-chief of a Minneapolis arts and politics tabloid, Mr. Kohnstamm received his B.A. in political science from Macalester College, and owns a 66-acre hobby farm in Southern Minnesota.